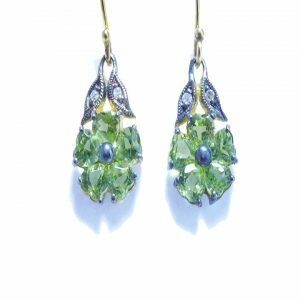 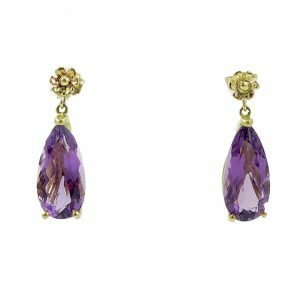 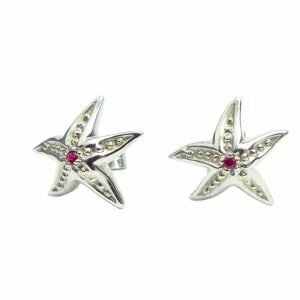 These amazing earrings are a joy to behold, with movement and shine these practical yet stylish earrings will make sure you get noticed. 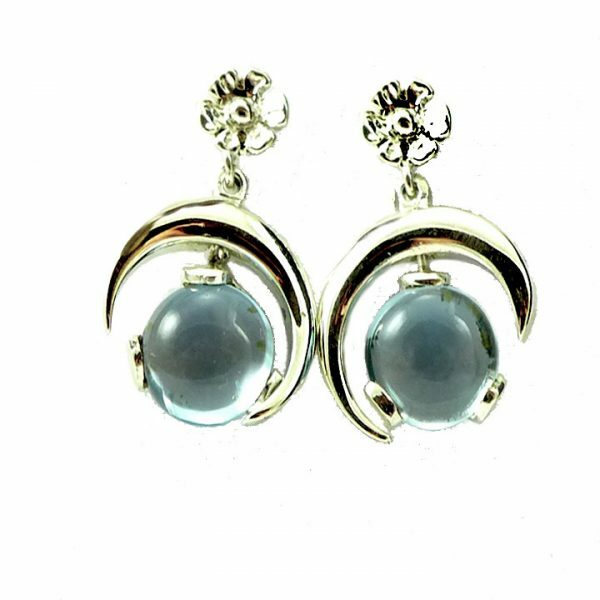 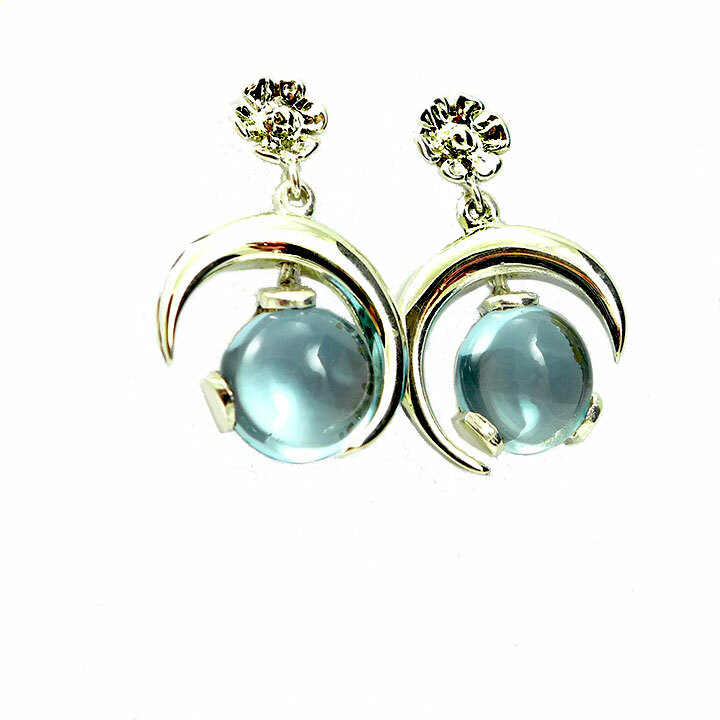 Blue topaz silver half moon earrings with a 8mm cabochon blue topaz held in a 3 claw setting. 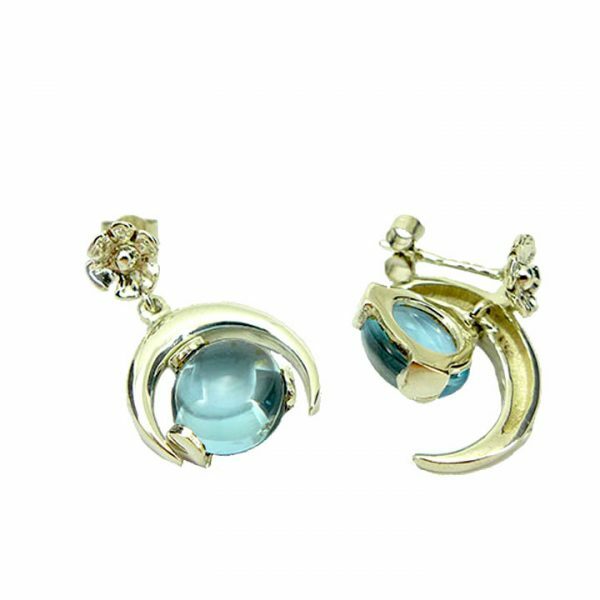 This is suspended from a silver half moon and flower stud and butterfly drop fitting. 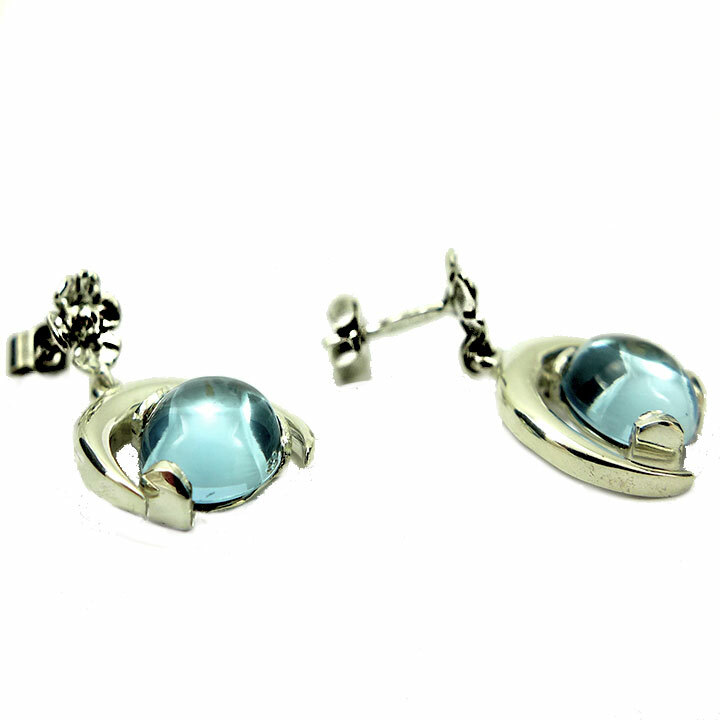 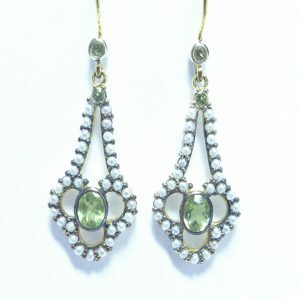 The earrings have a set of British hallmarks and weigh 3.5 grams.The earrings are 13 mm wide and 2 cm in length.